Sri Lanka Under-19 won the five-mat ch Youth ODI series 3-2 with a 62 runs victory over their Bangladesh counterparts as Gurukula College all-rounder Roshan Anuruddha set the stage for the victory with a half century in the final Youth ODI played at Shere Bangla National Stadium, Mirpur in Bangladesh yesterday. After scoring 185 runs thanks largely to a half century by Anuruddha, bowlers did well to restrict the home team to 123 runs to win the final match and the series. While speedsters rattled the top order, Dharmasoka College spinner Ramesh Mendis cleaned up the tail with a three wicket haul to seal the victory in the 36th over. In their chase, Bangladesh lost their first three wickets for 35 runs with Anuruddha taking the first wicket for ten runs. Except Mehedy Hasan (37 runs) no other batsman could top 20 runs as they lost wickets at regular intervals. While D.S .Senanayake College speedster Binura Fernando picked up two wickets, Chamika Karunaratne and Anuruddha picked up a wicket apiece in the speed department. Spinner Ramesh Mendis was the pick of the bowlers with three wickets. Richmond College all rounder A.K. Tyron picked up one wicket and was also responsible for at least one run out. Earlier put to bat, the visitors too struggled for runs after losing three wickets for 23 runs. They were 137 for seven wickets at one stage but the back to the wall knock of Anuruddha made sure that Sri Lanka has enough runs to defend. Anuruddha faced 77 balls for his half century and scored six boundaries in his knock. Top order batsmen Minod Bhanuka and Dinuk Wickramanayake scored valuable 30s. After trailing 2-1, the tourists did well to win the series as they scored back to back victories in the last two matches. Sri Lanka Under-19 won the rain affected fourth match by six wickets according to D/L/ method. After restricting the home team to 244 for eight wickets (47.4 overs) they chased a revised target of 200 runs (in 22.1 overs) with 41 balls to spare. The just concluded five match youth ODI series the first oversea tour for the team in preparation for the next year’s Youth World Cup. However, some players who took part in the series are not eligible to play next year. // AP –In this file photo a former Sri Lankan girl combatant reacts during a cricket game in Colombo, Sri Lanka. Sri Lanka Cricket (SLC) is to conduct a talent search for potential youngsters from the former LTTE controlled regions in the north and the east. For two days next month, the SLC would run coaching camps and conduct a talent search for under-14 to under-19 age categories in northern capital of Jaffna. 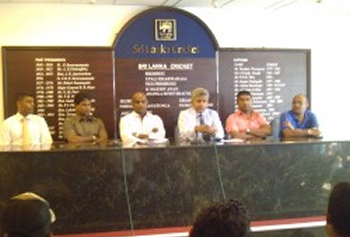 There will also be programmes for coaches and the schools’ masters in charge, a SLC release said. The Jaffna programme will thereafter be repeated in the eastern provincial district of Batticaloa. Cricket, the island’s most popular sport, was deprived to the north and eastern youth throughout the 30-year separatist war which devastated the north and east. The annual cricket match between Jaffna’s two leading schools, St John’s College and Central College was however continued throughout the conflict. The north tasted high level cricket for the first time in decades when Murali Cup games were staged last year — a T20 tournament for the under-19 teams from the regions as well as the leading school teams from the south. Only very few Tamils have made it to the Sri Lanka national team since the country was admitted as a full member of the ICC in 1981. Muttiah Muralitharan, a Tamil of Indian origin from the hill country and Russell Arnold are those who made it big in the international arena. In this file photo a former Sri Lankan girl combatant reacts during a cricket game in Colombo, Sri Lanka. There is a certain school of thought in cricketing circles that feels that actions of the present selection committee and the reactions of Sri Lanka Cricket are faulty and diverse. It is rather surprising that the Present Selection Committee which includes two players who captained the country in the modern era and another player who also played the game in the same period – Sanath Jayasuriya, Hashan Tillekeratne and Pramodya Wickremasinghe – are making these faux pas. The Sri Lanka ‘A’ team which consists of next-in-line players for the national caps is on the verge of embarking on a month-long tour of the West Indies. They will play two four-day unofficial Test matches, three one-day internationals and two T20 matches between June 1 and June 28. They are scheduled to leave the country in the last week of May. Read the rest of this entry ? In the quest of strengthening the Sri Lankan fast bowling armoury which cannot be considered the best at the moment, former Sri Lanka left arm fast bowler Chaminda Vaas is exploring the possibility of having a formidable set of speedsters for the future. Five talented medium pace bowlers from the north were specially brought down to Colombo by Vaas under the instructions of his former fast bowling colleague Ravindra Pushpakumara, who is in charge of fast bowlers in the Jaffna district. This is not the first time that fast bowlers from the north and the east have emerged in the local cricket arena. In the past there were some lively fast bowlers from the northern province to name a few, the late Donald Ganeshkumar (Police), Anton Benedict (BRC) and R. Naguleswaran (CCC) who were fit enough to gain national honours. But with the ethnic problem and the civil war, the influx of cricketers from the north and the east gradually came to a standstill. And now with the thirty year conflict ending, the Sri Lanka Cricket are on a hunt of spotting potential pace bowlers from the North and also from the East. In time to come, hopefully there should be a couple fast bowlers from the two provinces. Read the rest of this entry ? 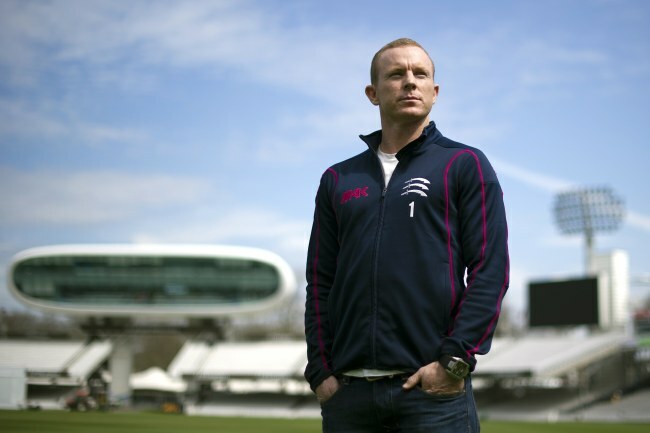 DECORUM dictated that the Poms should at least wait until Australia’s Ashes squad had been named before ridiculing it but given how many starters there will be in that fiercely contested race, it was inevitable someone would jump the gun. Not leaving anything to chance, respected English cricket writer Mike Selvey rushed into print in The Guardian on Monday with the breathless prediction that “Australia’s fragile Ashes hopes (would) rest on the frail, flabby and fallible” — as his headline writer neatly summarised his thesis. 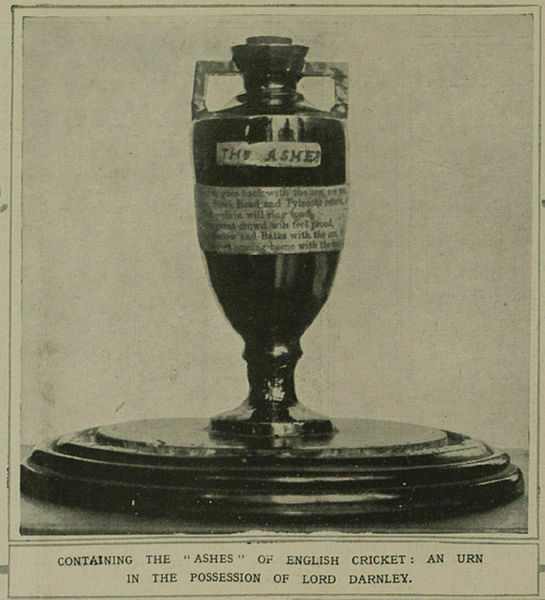 The only leavening in this weighty condemnation was that his assessment of the Australians as “flabby” referred not to their waistlines but their batting technique, although there would be many in this country dubiously eyeing this 16-man squad who would happily exchange its (generally) lean athleticism for the courage and skill of such portly fighters as David Boon and Colin Cowdrey. Read the rest of this entry ? THE first question — the essential question — that needs to be asked is: can we make that Test squad bound for England any better by fiddling with the work of John Inverarity and his mates? The summer gone has us fretting. If there are no obvious places that need to be overhauled or even fine-tuned, no names chucked overboard, then Inverarity, Mickey Arthur, Michael Clarke, Rod Marsh and Andy Bichel have settled on a sensible, fair and uncontroversial collection of players charged to bring the Ashes to Australia. That doesn’t mean they will come back with anything more than battered limbs and tarnished reputations, rather just that we have gathered together the best of a bad lot. Read the rest of this entry ? 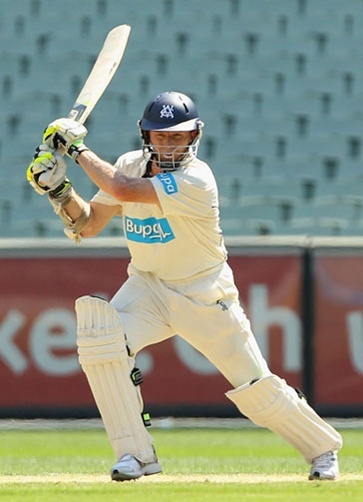 You are currently browsing the Critiquing Cricket blog archives for April, 2013.